California is a land of great beauty and opportunity, but it is also a state renowned in a less-flattering way for its earthquakes and seasonal brush fires. While seasonal brush fires, often preceded by dry, relatively hot and tinderbox conditions, tend to be more predictable than earthquakes, fires that strike residential communities are much more prone to erupt without any warning and are by no means limited to the Golden State. 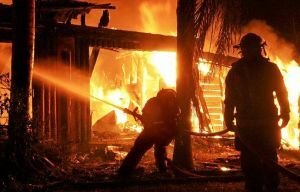 And when fires rip through homes to destroy possessions or cause serious injuries or even death, San Francisco Bay Area attorney Gregory J. Brod stands ready to help the victims of fires in Northern California. One extensive building fire early Thursday gave residents of a 75-unit apartment complex in Redwood City one of the most frightening early-morning rude awakenings possible at about 5:15 a.m., according to a report from the San Jose Mercury News. The six-alarm fire, which caused the roof of the four-story building to collapse with flames bursting skyward from the top floor, led to a mass exodus of residents as firefighters arrived on the scene. Many of the residents fled to safety by climbing down balconies or even rappelling to the ground from the fourth floor. Four people were injured, and four others are unaccounted for, but they were believed to be away on vacation. Twenty fire engines and more than 100 firefighters were required to subdue the blaze, which was largely extinguished by 9 a.m. While the apartment building had smoke alarms it wasn’t fitted with a sprinkler system because, according to Redwood City Fire Marshal Jim Palisi, the structure was built in 1988 before a state law requiring sprinkler systems was enacted. “I guarantee if this building had been sprinklered this wouldn’t have happened,” Parisi told the Mercury News. Of all reported structure fires in the United States from 2007 through 2011, only 10 percent involved buildings with installed sprinkler systems. Sprinkler systems were present in 47 percent of all high-rise apartment buildings where 2007-11 fires were reported in the United States. Sprinklers operated in 91 percent off all 2007-11 reported structure fires in the United States. When sprinklers operated in 2007-11 reported structure fires in the United States, they were effective 96 percent of the time. There was a combined effectiveness of 87 percent when sprinklers were present and fires were large enough to activate them during all 2007-11 reported structure fires in the United States. The much lower figure for the presence of sprinklers in all buildings across the nation overall is due to the fact that they are still rare in many categories of buildings, including educational properties (36 percent of fires), stores and offices (24 percent of fires), public assembly properties (23 percent of fires) and most notably homes (six percent of fires), where most fire-caused fatalities occur. Indeed, according to the Centers for Disease Control and Prevention, 85 percent of all fire deaths in the United States in 2009 occurred in homes. The CDC also reminds us that most victims of fires die from smoke or toxic gas inhalation, not from burns. The CDC also makes it clear that while smoking is the leading cause of fire-related deaths, cooking is the primary cause of residential fires. An investigation will be required to determine the exact cause of Thursday’s apartment complex blaze in Redwood City, and there will be, no doubt, a separate insurance company investigation. However, as we have pointed out on these pages before, victims of building fires are usually best served by securing effective legal representation as soon as possible to deal with insurance companies that may very well dispute coverage for injuries, including for medical bills, lost income and possible future medical costs. If you or a loved one has been injured, died or suffered loses in a structural fire, please contact the experienced personal injury attorneys at the Brod Law Firm for a free consultation.